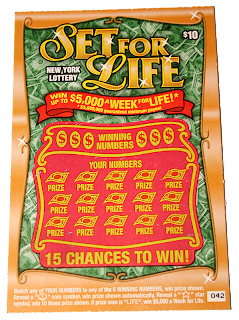 The experiment has two parts: One to by tickets as part of a printed sequence and Two is to by tickets at random to see which scenario performs better. Part One has been done and finished in favor of New York Lotto. You can see the details in my previous posts. 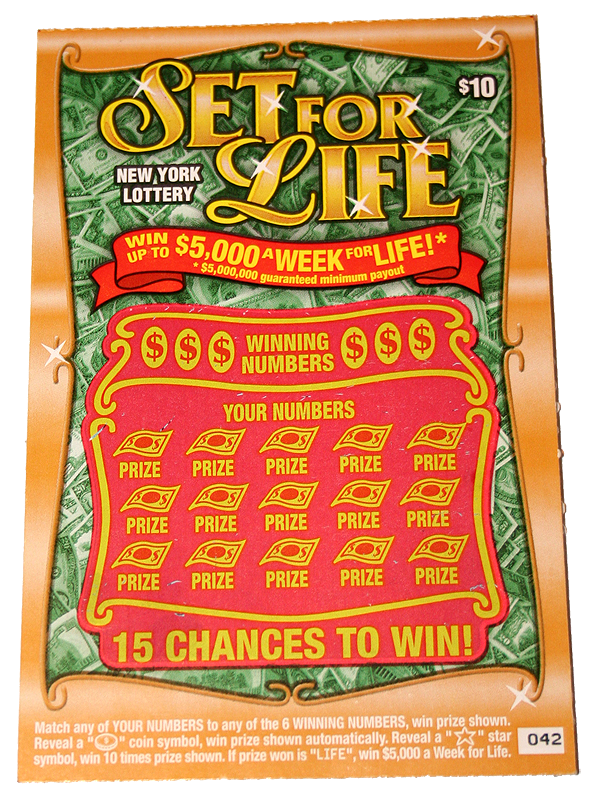 So as New York Lottery says "Hey, You never know" I decided to continue with Part Two of the experiment and bought Set for Life instant scratch off at random. Same $100 spent. Different vendors. Different days of purchase. The results where quite interesting and I'm going to share it with you in my next post. In fact I'll tell you a bit more now: The experiment took place last year and was conducted multiple times. Both times results were ... I should not say unexpected, maybe I should even say more expected then unexpected, depends on how you look at it ... in any event stay tuned for the results.